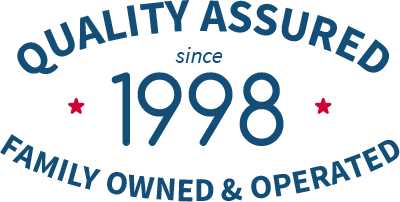 At OASIS Heating, A/C & Refrigeration, Inc., we offer commercial refrigeration services from emergency repair to new installations. We specialize in green energy and take pride in finding cost–effective solutions for the refrigeration needs of our commercial clients. We install refrigerators, ice machines, and commercial freezers. With our routine maintenance services, you can extend the life of the equipment and prevent repairs. Call us any time to find out why business owners rely on us for their commercial refrigeration services. No matter what commercial business you may be involved with, if it involves food service, manufacturing or preparation, you’re going to need an excellent commercial refrigeration system to keep your stock fresh. But that refrigerator is only as good as the professional refrigerator service it receives. Routine maintenance is the best way to stay ahead of repairs, and when problems do arise, we can be there in no time to restore functionality to your system. Let us be your go–to company when it comes refrigerator service. If you’re shopping around for a new commercial refrigerator, than look no further than the experts at Oasis Heating, A/C & Refrigeration. We can outfit your commercial space with equipment that matches your commercial refrigeration needs. Our refrigerator installation service is excellent. We use only high quality systems and make certain that your new fridge works well for years to come. Your business deserves nothing less. Call us today. For commercial refrigerator repair call OASIS Heating, A/C & Refrigeration, Inc.. We can handle all of your emergency repair needs, for most commercial refrigeration equipment. We repair walkin coolers and freezers, and our technicians are on call 24 hours a day to respond to repair needs. We know that minimizing down time is important for your business, and that’s why we send a technician to your facility ASAP to take care of the issue. If you run a business that relies on ice machines, such as a restaurant, bar, or hotel, you can’t afford to look to amateurs or inexperienced installers. Nor should you trust such people when you need to arrange for ice machine repair services. We have the experienced technicians on staff capable of handling repairs and other services for all makes and models of ice machines. Basic refrigerators aren’t enough for most food service companies. They need to have substantial storage, and that’s what a walk–in cooler provides. Such a huge installation requires refrigeration technicians with special training and skill, and we have the people you need. When it’s time for repairs, you can also trust us with your walk–in cooler. As you start up a new business or new location, you’ll have many new installations that will need to be taken care of. Large commercial freezers are vital for many companies, and if your company is one of them, please get in touch with us to arrange for the freezer services your establishment needs. Do you require repairs or maintenance for your commercial freezer? Chances are strong these services can’t wait without putting your business’ operations in jeopardy. Place you concerns in our hands, and we’ll see that you have your freezer restored to you in no time. We’ll treat your business as if it were our own. A walk–in freezer is another commercial refrigeration necessity that must never be delegated to inexperienced technicians. You can count on us to find you the ideal energy–efficient unit to suit your needs, and at any time when you require support services such as repairs or a replacement, you can simply pick up the phone and contact us. Are you looking for a new commercial walk–in cooler or need an emergency refrigerator repair for your business? Call OASIS Heating, A/C & Refrigeration, Inc. for commercial refrigerator installation or repair services. We offer 24–hour emergency repair services for a variety of refrigeration equipment. We install quality products, and we will make sure you get the right size and type of commercial freezer or walk–in cooler that suits your needs. 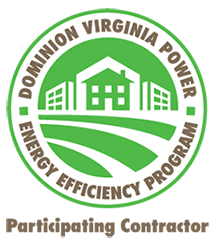 We also specialize in green energy and want to help you potentially reduce the amount of energy that you use by installation a new high–efficiency or Energy Star model. Contact one of our commercial refrigeration specialists the next time you need a commercial refrigeration service.